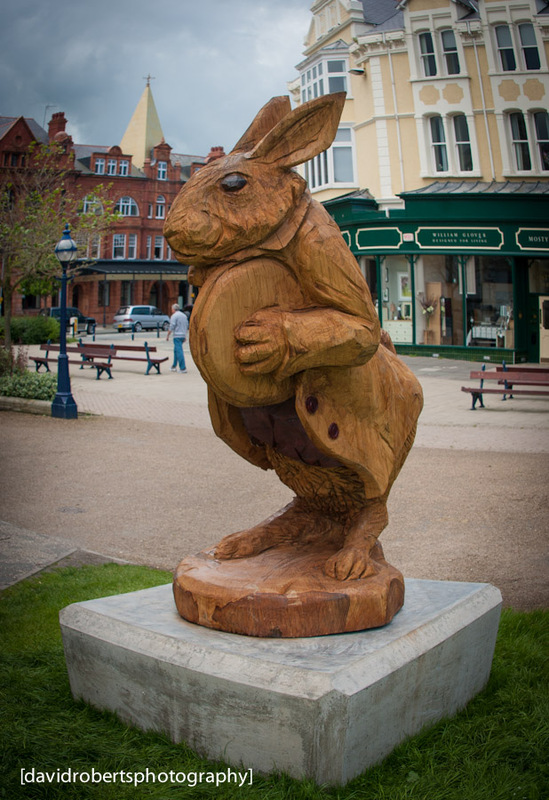 The White Rabbit – one of a set of ‘Alice In Wonderland’ themed Sculptures carved by Simon Hedger that have recently appeared around Llandudno as part of the new ‘Alice Trail’. Edited in Lightroom. The White Rabbit can be seen at North Western Gardens; you can also see Alice herself outside the Neville Hotel, The Queen of Hearts on Gloddaeth Street by Tiffanys and the Mad Hatter on the Promenade by the Queens Hotel. There is also a ‘Reading Chair’ up in Happy Valley and a Pocket watch themed Floral Clock on the Promenade by the Cenotaph. wow, what an amazing scupture. it must of took some time to make.